Tuesday, December 9 @ 6 p.m. The parcel has approximately 423’ of Joy Road frontage. The soil consists of predominately Conover-Brookstone loam association soils & is approximately 85% tillable. There are no building structures on parcel. It is not currently enrolled in PA-116. Individual parcels are located south of Joy Road, on Whitmore Lake Road, & Joy Roads, Ann Arbor Twp. Section 4 & 5, Washtenaw County. The entire parcel is subject to conservation easement restrictions. The soil consists of predominately Fox sandy, Miami, & Conover loamy soils & is approximately 80% tillable with wooded and lower lying land excluded. Minimal tile exists. Parcels not currently enrolled in PA-116. High bidder on each parcel required to complete purchase agreement with a $10,000. earnest money deposit per parcel. Closing within 45-days or additional time if required by seller. Bids are subject to Midland Probate Court approval, current acceptability rate exceeds 95%. 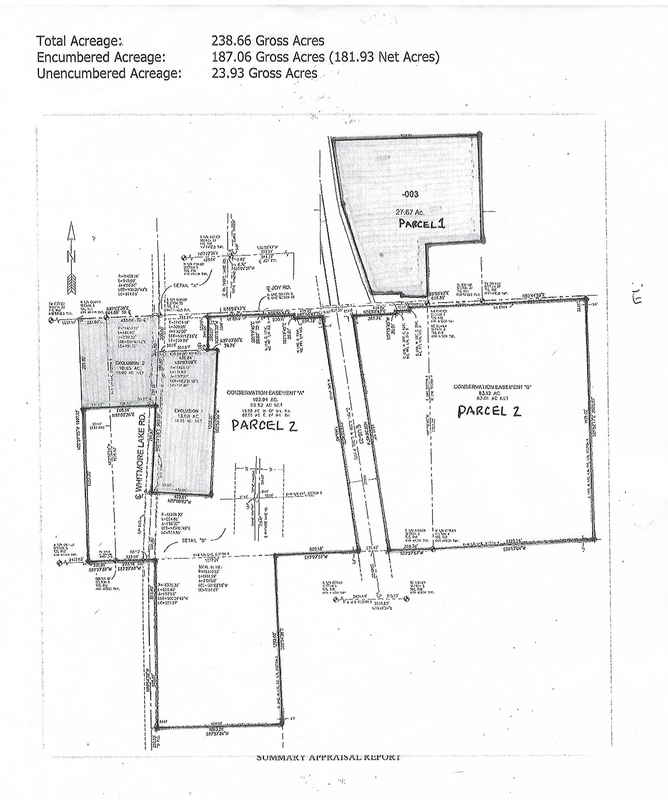 Parcels are not under lease for 2015 & are sold with all mineral rights currently held by seller. There are no buildings on property. Seller to provide owners policy of title insurance & copy of recent surveys. If you are in the market for agricultural, future developmental, or recreational property in the Ann Arbor area - Don’t miss this sale! Absentee & phone bidding available through auctioneer (989)793-8689.